The ruling came in the following factual matrix: A writ petition was filed in the Kerala High Court by the publisher of 'Thejass', a Malayalam news daily, aggrieved by the denial of Governmental advertisements in their newspaper. The petitioner contended that the State has withdrawn the advertisements to the newspaper “Thejass” without any justifiable reasons and that the decision of the Government was without affording an opportunity of being heard. The State's version for denial was on the ground that all the main Directors of Thejass, except one Director, are former activists of the Students Islamic Movement of India, a banned organisation and are acting as the main leaders of the Popular Front of India (for short, “PFI”). The State also contended that the editorial policy of “Thejass” is based on the ideology of PFI which has a clandestine agenda of islamisation of society by promoting conversion, communalisation of issues with a view to the benefit of Islam, recruitment and maintenance of a branded committed indoctrinated muslim youth for undertaking actions including selective elimination of persons, who in their perception are enemies of Islam. The State further contended before the Single Judge that PFI utilises “Thejass” daily to propagate its extremists ideology among its readers and various news items published in Thejass daily clearly expose communal agenda and therefore, the State is of the view that Thejass is acting as a catalyst for polarisation and is creating communal divisions in the Society at large. Dealing with the nature and function of the Press, Justice Mustaque held that the registration of the Press under the PRB Act 1867 and the control exercised by the Press Council under the PCI Act 1978 is clearly indicative of the public function discharged by the Press. The High Court said: “Press function though a private activity, is having public element and is also bound by the standards applicable to the State in respect of the dissemination of information and reporting. The functional duties discharged by the Press also postulate that it discharges public function.. The Press functions for collective benefit of the public. The reporting of information and circulation of ideas through Press thus, have the public element”. Justice Mustqaue also added that in appropriate circumstances if Press function pose threat to State security, unity and integrity, necessarily sufficient power is vested with the registering authority to de-register the Press. 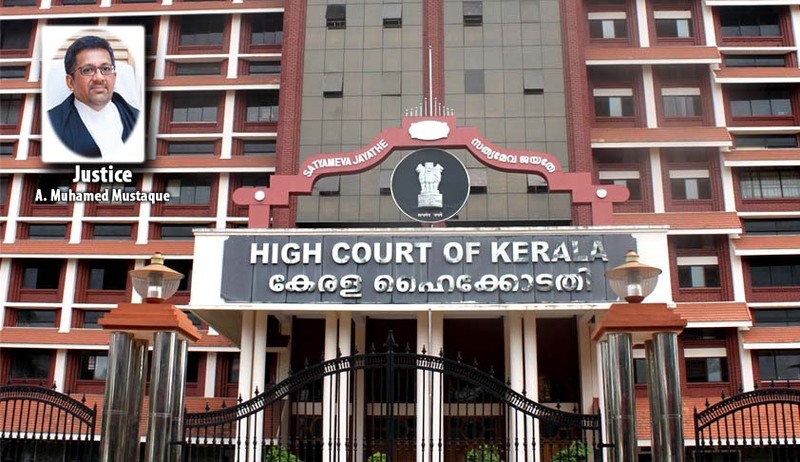 Moving on to the scope of judicial review in State’s measures to regulate freedom of Press for security, the High Court of Kerala said that the standards of review in reviewing the decision of the Government in security related issues must be placed at different pedestal by the Courts. “The Courts have to be cautious by applying normal test like unreasonableness, proportionality, secondary review or strict scrutiny in the matters reviewing decisions of security of the Country,” said Justice Mustaque. Coming specifically to the factual controversy, the Court identifying the issues involved in the case said that two points are essentially to be considered: Point No. (i) is that by the decision of the Government, the Government is justified by substantial norm in denying the advertisement and point No. (ii) is that whether due procedure has been followed while denying the advertisement. On the first issue, the Court said that the Government, necessarily, can apply restriction only when there are substantial grounds as contemplated under Art.19(2) to deny the advertisement. However the High Court said that judicial review was premature in the case at hand as the petitioner's case has not been adverted by procedural due process by the Government. The Court however added that due procedure has a different connotation when substantive scrutiny is made based on the materials relied on to take action even based on the grounds referred under Art.19(2) of the Constitution. It noted that the Directorate of Advertising and Visual Publicity, Ministry of Information Broadcasting, issued an advertisement policy in respect of advertisements to be published by various Ministries and Governmental organisations of India whereby the Union Government has taken a decision to avoid releasing advertisements to newspapers/journals which incite or tend to incite communal passion, preach violence, offend sovereignty and integrity of India or socially accepted norms of public decency and behaviour. The Court however observed that though the Union Government has a definite policy on such issues, nothing is seen from the records as to whether the State has adopted any such policy applicable to all newspapers, though such policy is reflected from the counter affidavit of the Government. Justice Mustaque observed that even in the absence of such a policy, the Government is entitled to evolve such norms but that must be applied in an objective manner to all whom it is intended to govern, otherwise, it would result in arbitrariness and selective discrimination to deny advertisement. In the said circumstances the High Court directed the Government to constitute within three months a committee preferably headed by the Home Secretary to evaluate and assess the informations provided in the newspaper taking into account of the numerous players in the public domain and take a decision within a further period of three months. The Court ruled that the right of the petitioner to have advertisement in “Thejass”, would depend upon the scrutiny by the committee to be constituted by the Government.